Pain, suffering and bereavement are part of human experience. It is the lot of many to try and bring comfort and reassurance to those who are ill or in distress. There are others who chose this role as part of their Christian ministry. A. D. Street acted as a hospital chaplain for many years. 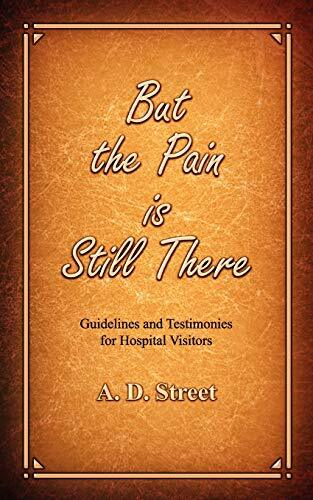 In this reflective book, he sets out his thoughts on how we can draw strength from the love of Christ to help us through difficult times, and how those ministering to the sick and bereaved can share God's grace with those 'on the other side of the sheet'. . . . the pain is still there, but the grace of God is also there.